On November 21, The Beijing News, a city newspaper now overseen by the municipal propaganda department of Beijing, ran an interview with Robin Li, the co-founder and chief executive of Baidu, the Chinese search engine company that is working to carve out its niche as a global leader in artificial intelligence (AI). In the interview, Li expresses optimism for the direction of AI development in China, and voices general support — (we should expect to hear nothing less in China’s official media) — for the policies of the government in support both AI development and the development of the private sector. The latter issue, the health of private business in China versus the state-run sector, has been the subject of ongoing debate in recent months. Li, based at least on what we can see, suggests that Xi Jinping’s reassurances to private companies are welcome and have done the trick. He even seems to resort to official Party discourse, mentioning such language at the “Two Unshakeables,” and throwing in the term “anti-anxiety medication” (which CMP co-director Qian Gang reviewed in a piece earlier this month). As the SCMP noted this week, Li does quite clearly credit state policies in China as helping to drive the growth of AI. The Beijing News: As one of the first internet companies in China to enter the area of Artificial Intelligence, how does Baidu view the development of the AI sector over the past few years? Robin Li: Whether in terms of market scale, technical innovation or the number of companies involved, you can really see the rapid development of Chinese AI and its growing importance. Over the past few years, more and more companies and research and technology networks (科研系统) are incorporating AI as a key area to direct [their time and resources]. In 2018, we’ve seen quite a few results, and we see more and more AI projects reaching the point of market application, from the mass production of driverless vehicles, to smart agriculture and smart healthcare — all are moving from the technological development phase to the application phase. I’ve said before that with vehicle production isn’t just about testing, but that the development of AI requires application. The Beijing News: Which industries do you see as being most impacted by developments in AI? Where are the opportunities? Robin Li: We already see AI covering agriculture, manufacturing and services, and we can imagine being applied in many, many industries, from culture and entertainment to corporate services, finance, transportation, intelligent hardware, life services, and many other areas. The Beijing News: In the AI sector, how big is the gap between China and other countries? What can China do to overtake others in turning the corner? Robin Li: National competition in the future over AI will ultimately probably come down to competition between China and the United States. In the AI field, China’s overall development is very fast, and we can say that China is either on the heels, neck-and-neck or in the lead in the footrace [depending on which aspects of the industry we look at]. China has many advantages in the development of AI. First of all, policy bonuses (政策红利) are one key factor in the development of the AI industry in China. AI is really hot, and it’s possibly that in the next few years we will see a peak in the development of China’s AI industry. Our policies [in China] science and technology innovation and business creation offer big support that also comes at the right time, and this is a major bonus for the practical development of the industry. At the same time, there is a surge of public support for AI, and there’s no doubt there is a lot of potential in the market. Beside all of these factors is openness. This is a huge advantage enjoyed by China’s AI industry. In terms of the technical capabilities of open platforms (开放平台), small and medium-sized companies can all directly enjoy the technology benefits (技术红利) and reach across the technical gaps in AI. The Beijing News: In the age of AI, how can we ensure protection of user data? Robin Li: The widespread linkage and use of data in the AI age will possibly lead to ever more present questions about privacy, and ensuring data security is a demand facing technology companies like Baidu, and a basic demand of the industry as a whole. We say that the highest principle of AI is security, and this is not just about not doing harm to the lives and asset security of our customers, but also about protecting their privacy. Of course, security needs to be ensured by technology. Data is a chief driving force behind the development of AI, and the speed at which data is updated in the AI age is far more rapid than in the internet age. The dramatic increase in the volume of data necessarily raises more security challenges. AI companies need not only to prioritise the data security of their customers as a matter of conviction, but must also achieve this in practice through building secure data protection systems. The Beijing News: Right now many internet companies are getting into vehicle manufacturing. Will Baidu also head this way in the future? Robin Li: On driverless vehicles, Baidu was involved quite early, and right now we’re pretty much out front. But I’ve always said that we won’t be involved ourselves in making vehicles. We won’t go an open up production lines ourselves, or design engines, or research fluid mechanics, or do industrial design. We will focus on what we do best — development of the autonomous driving technology. And we will work together with all companies that have an interest in driverless vehicles. The Beijing News: What is the most difficult aspect of developing autonomous driving technology? Robin Li: The most difficult thing should be the core technology development phase. Five years ago, Baidu was one of the earliest Chinese companies to get involved in the development of driverless vehicles. At that time few had actually realised that AI was already upon us, and when we said Baidu was researching smart driving, probably everyone thought we would also head in the direction product testing for vehicle manufacturing. The development of ground-floor technologies is an extremely difficult process. AI requires three major drivers: algorithms, computing power and data. Whether we’re talking about autonomous vehicles, or about smart city transportation, all of these are built on iteration algorithms (算法迭代), on enhanced computing power and on the collection of data. This is why we decided to build our Apollo Github, because manufacturing tires is an extremely difficult process, and we hoped that everyone could utilise our capacities freely and directly. If they need data, we give them data. If they need technology, we give them technology. Traditional vehicle manufacturers can boldly take advantage of Baidu’s AI. We can all work together, combining our efforts, and only in this way with the current and later phases of development go more smoothly. The Beijing News: In investing outside China, where has Baidu’s focus been? Robin Li: AI has been one of Baidu’s strategic directions, and it has more recently become a “new initiator” (新动能) for driving industry upgrading and economic development. In the future, perhaps no company will be able to say that its business has nothing to do with AI. I think there is the potential for cooperation everywhere, regardless of whether we’re talking about traditional enterprises or new technology companies. In fact, investment is a form of cooperation. When it comes to investment, we put more priority on the underlying concepts [and understandings], determining whether the other side has an AI way of thinking, which forms the basis for cooperation. For most companies, the most important thing in the current environment is how to be the first in embracing AI, how to be a company that successfully applies AI technology, quickly making itself AI-capable (使自身AI化). This is something I really care about. The Beijing News: What are your plans for dealing with the shortage of talent in AI development? Robin Li: As AI has developed, the shortage of talent will become more and more apparent. To solve this problem, we can’t just apply the old ways of thinking, but have to think across boundaries. AI is not just a technology, but an interdisciplinary subject that covers many categories [of work and industry]. We can’t just develop one kind of skillset, but rather need to foster talents with multiple abilities who have the capacity to think in a more comprehensive way, building an expert talent training system. Talent training isn’t something that can be accomplished in a day, and it’s not something that universities or companies or the government can accomplish in isolation. We can see that China has been very active in recent years in terms of talent development. 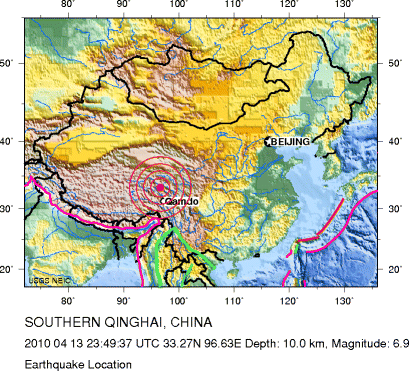 The Trump administration has been very conservative in its immigration policies, and by contrast we will invite these people to come to China and develop. At the same time, our universities are also actively exploring the creation of AI programs of study, and companies are actively doing training and drawing AI talent, providing them with space. The Beijing News: Some have said that AI has been over-hyped, and that in 2018 we’ve begun to see a bubble. What is your view? Robin Li: It’s true that AI has been a really hot topic over the past few years, but we can say that this “hotness” hasn’t just been about ideas but about very real application to industries, a warmth that has made blossoms spring up everywhere. As I said earlier, AI is being applied in very concrete ways across all three major sectors, and we see it happening in finance, in healthcare, in education and travel and other areas. These concrete applications are a report card for AI development, and something that our market needs to take note of. For years I’ve been telling people that the internet was the appetiser, and that AI is the main course. AI is the way of the future, something whose impact will be broader and deeper. But this process of change will be gradual, not something that happens immediately. We can see its gradual nature, and the scale of the AI industry has steadily grown, with obvious impacts on industrial upgrading and economic change. Add to this a policy environment that is more and more encouraging and I think we can say that not only is there not a bubble, but I’m confident that AI will permeate even deeper, and be even hotter, as algorithms, computing power and data make this possible. It will truly become the main course. The Beijing News: How do you see private companies and the troubles they now face [in China]? What do you think the solutions are? Robin Li: The process of economic transitioning and the external [trade] environment have certainly presented a lot of challenges for private companies right now, but some opportunities too. General Secretary Xi [Jinping] has emphasised that our country’s development is now at a critical juncture of transition and restructuring, a time to tackle tough challenges, but also a time to seek breakthroughs. I’m confident that China’s economy is like the open sea, and facing the future we know we have great responsibilities, but at the same time are brimming with confidence. Baidu has always hoped our own AI capacities can help support other industries and allow every company and every enterprise to use the most advanced AI available with ease. Traditional enterprises need to move with the trend and embrace AI, successfully utilising AI applications, marching to the beat of the times and enjoying the benefits of change. The Beijing News: How do you view [policy] prescriptions the central government has made for the private sector? Robin Li: General Secretary Xi has emphasised many times the “Two Unshakeables” (两个毫不动摇) [which includes support for development of the “non-public sector”), clearly stating his “Three Steadfasts” (三个没有变), and he has talked about grabbing “6 Policy Measures” (6个方面政策措施). All of these prescriptions for private companies not only give us urgent and real help, but also raise the confidence of private businesses. On the question of private sector development, there have been many different voices expressed in society lately, and private businesses will have certain concerns. The prescriptions made lately by the central government without a doubt have worked as an anti-anxiety pill (吃定心丸), and I think this is extremely important. These are things we need to be hearing. We are a private business, and when we hear unreserved support for the private sector, we feel much better grounded. The central government is still very supportive of private business development. The Beijing News: What economic event left the biggest impression on you in 2018? 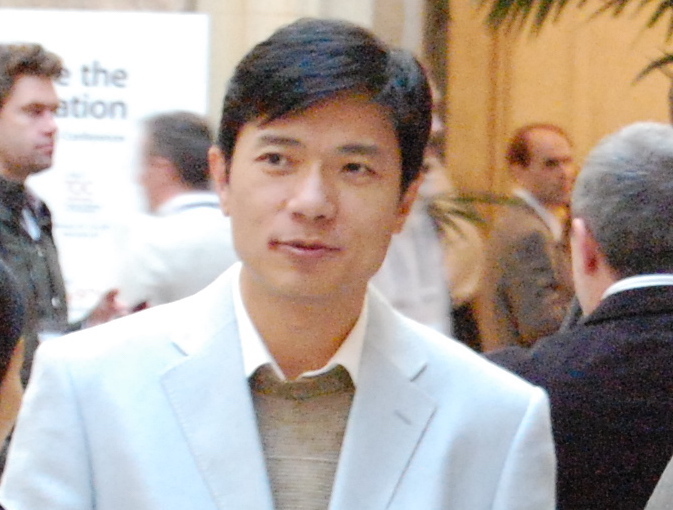 Robin Li: The 40th anniversary of Reform and Opening. Whether I talk about me personally, or about Baidu, we are all the beneficiaries of Reform and Opening. If it hadn’t been for these 40 years of rapid economic development, if there hadn’t been this growth of internet users from 8 million to 800 million, there would be no Baidu. The Beijing News: Where did you see the bright points of the Chinese economy in 2018? And will these continue in 2019? Robin Li: China’s economy is stable and developing well, and there are many bright points. I think the biggest bright point in 2018 has been the application of AI. And not only will this bright point continue, but we should see even more, and even better quality, results.